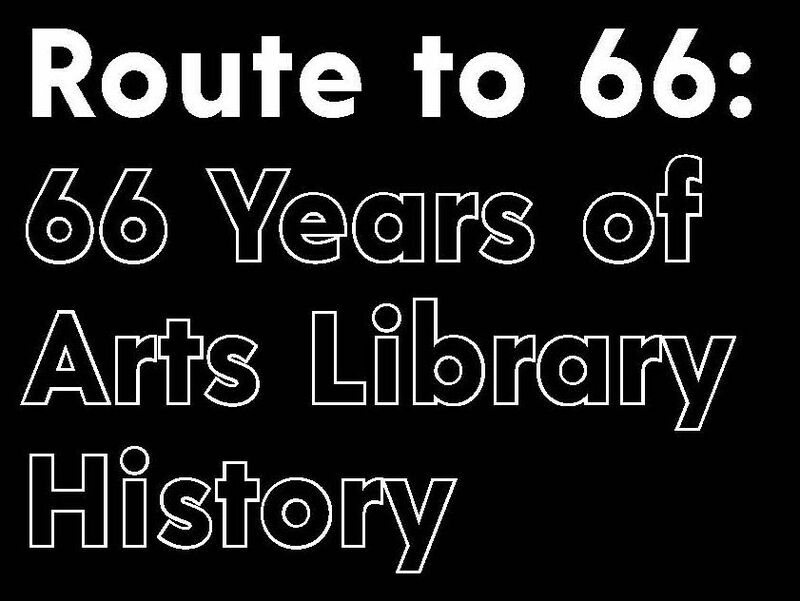 This year marks the sixty-sixth anniversary since the UCLA Arts Library first opened its doors to the public in February of 1952. Originally dedicated to serving the then new art and art history departments, the Art Library later absorbed the Architecture and Urban Planning Library and the Theater Arts Library to form the Arts Library in 1991, eventually moving from Dickson Art Center to the Public Affairs Building in 2002. Today, it is home to a number of unique collections in the areas of architecture, architectural history, art, art history, design, fashion and costume, film, television, photography, theater, and urban design. This exhibit showcases just a few highlights from current and historical collections as well as selected pieces of ephemera that reveal how this singular library came to take the shape that it has today. Please see our timeline of the history of the Arts Library (pdf) which was developed for the exhibit.